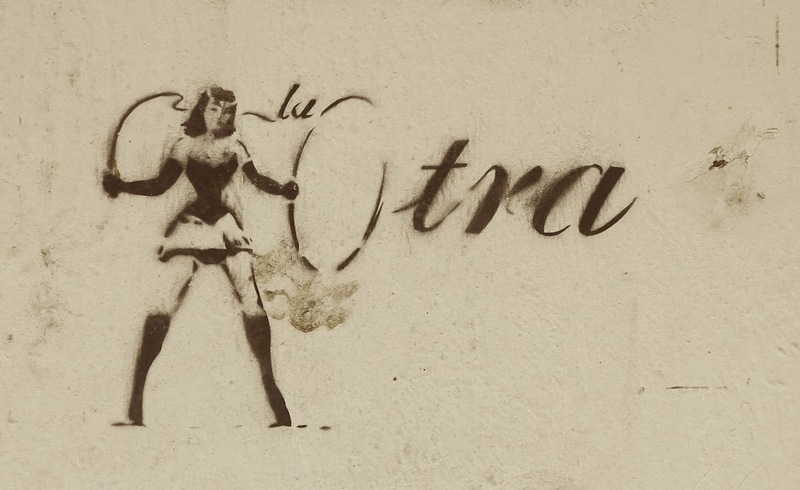 As of Saturday night, 20 October, Frida has still not arrived to Cartagena! 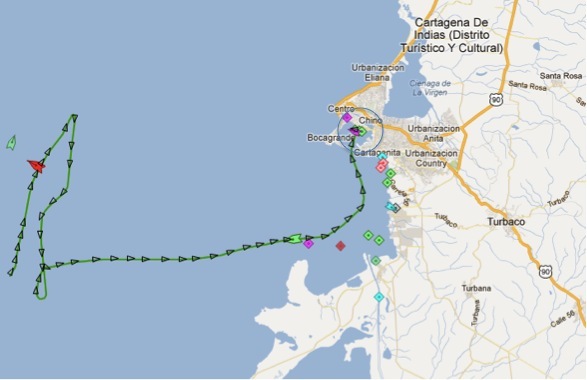 The vessel is now 5 days delayed on a trip of 1 day from Colon, Panama to Cartagena, Colombia. We are not impressed with Evergreen! Anyways, there is nothing we can do but to wait. 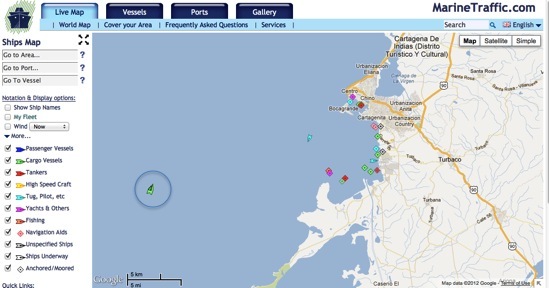 The vessel has been all day in a waiting position just outside Cartagena, see above. Hopefully she will get to the port tonight so they can unload tomorrow and we can get Frida on Monday. We are eager to get behind the wheel and drive again! In the meantime we are enjoying the old colonial town of Cartagena, eating Colombian style empanadas and buying things to make Frida more sophisticated and attractive! After a wild night at sea, hanging out with the other container vessels, Frida is now coming to town! We are here waiting!!! Now we have to wait for the unloading of the vessel and then we have about one day of work with getting Frida and Thomas’s car out of the port. We are so absolutely ready to drive! Today 22 October is the big day when we hope to get Frida out of the container and back on the road! So we are running! Morning marathon: To the port to pay the port fees, then to customs to arrange for a customs inspection this afternoon, then to the office of Evergreen inside the port to check with them if all paperwork is ready (it wasn’t), then write an email to the shipping company in Panama to push them to get the paperwork ready, then to the town center to the office for the car insurance SOAT to make sure that we are well prepared to get the car insurance issued this afternoon – we visited 5 different places before finally ending up in the right office! Now we are having lunch and resting before the afternoon marathon. Afternoon marathon: Back to the port for the appointment with the customs inspector, take the cars out of container and finalise inspection, then back to Evergreen for the bill of lading, they claim that they are still missing a payment from Panama = a lot of “quilombo” (a mess, scandal, uproar, disorder, conflict) to get this sorted out very very quickly, then to the customs office with the bill of lading to get the final customs inspection papers, then one of us went to the port to make an appointment for taking out the cars, one went to SOAT to get the insurance papers and one went to the hostel to pick up our luggage! I am now here at the hostel waiting for Thomas with the insurance papers so we can grab a taxi back to the port and meet Marco with the cars. So fingers are still crossed that all the pieces will come together and we will be able to leave Cartagena tonight! We made it! 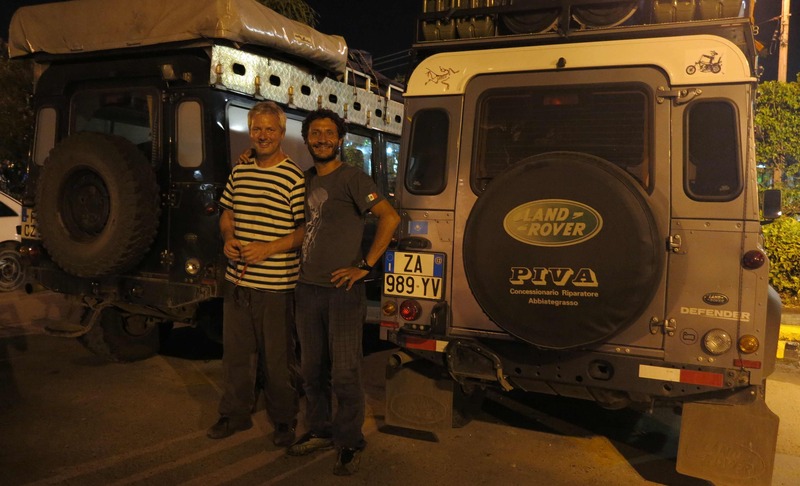 We got the cars yesterday night, Monday 22 October, and at 7 pm we left Cartagena. Now we are well on the way to Medellin. More later, but here are two happy guys after a very hard day! We went much too fast through Colombia! We could have spent more time in Medellin, in the coffee triangle and in the mountains. But before arriving in Colombia we just did not know how nice it was, how green the hills were and how lovely the people that we would meet were! After leaving Cartagena, we drove as fast as possible to Medellin where we had an address of a guy called Jorge. We got the address from an Argentinian girl we met on the beach in Mexico and we were thinking that Jorge probably would not be too excited to have three strangers invade his apartment….but we could not have been more wrong! Jorge and his girlfriend Mechas are possibly the nicest people we ever met! For slightly reserved europeans like us it was really a revelation to experience how openly we were received in their home, without reservation, without any “fear of the strangers”. We could learn something here…! From planning to stay just one night, we ended up staying three nights, including the night of Jorges birthday where we were treated to a real colombian asado (barbeque)! It was fantastic and our three days in Medellin ended up being our greatest experience in Colombia. After saying goodbye to Jorge and Mechas, we continues down south to the coffee triangle of Colombia. We stayed overnight just outside the city of Manizales, in a coffee farm, woken up at 5.30 in the morning by the coffee pickers singing. We wanted to climb the volcano Nevada del Ruiz, the second highest point in Colombia, but we found out that it had been closed since March because of increased seismic activity. So since the weather was turning grey and rainy, we decided to head for the border to Ecuador. It was sad to leave Colombia so fast but then we have an opportunity to return and to visit good friends!